Riviera Nayarit, Mexico - Puerto Vallarta and the Banderas Bay region enjoy a reputation, both nationally and internationally, as a gastronomic destination. Restaurants of all types of regional and world cuisines abound and make it obvious to those of us who live here that we are, indeed, lucky. So it may come as a surprise that up until recently, there was no group, association or organization to represent and aid the restaurants of the Riviera Nayarit. Across the Rio Ameca in Puerto Vallarta (Jalisco) is a chapter of CANIRAC (Cámara Nacional de la Industria de Restaurantes y Alimentos / National Chamber of the Food & Restaurant Industry) for the benefit of Puerto Vallarta’s restauranteurs. Last May, a group of dedicated restaurant owners, managers and principles began to meet with the goal of forming a group for Riviera Nayarit and specifically the region spanning from the Rio Ameca (Jarretaderas/Nuevo Vallarta) as far north as Lo de Marcos, which is also the area of the Bahía de Banderas municipality. Thus, has been born the Asociación Restaurantera de Riviera Nayarit. The purpose and goals of this group are numerous. Imagine having to struggle alone to discern the varying and numerous codes, laws and permits necessary to operate a restaurant, having to handle employee issues as diverse as transportation to and from work, safety and benefits. Imagine having to promote your restaurant without any backing or support. Now imagine having an association that can organize and make available the resources to address these very concerns. 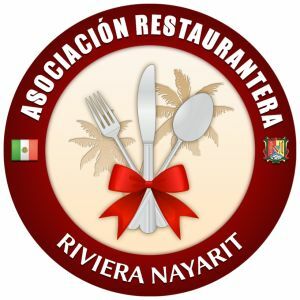 The Asociación Restaurantera de Riviera Nayarit is in the formative stages, just now meeting with a local Notario, of establishing a legal entity in order to be able to work within the guidelines of the local municipality and state government in order to effectively promote the region, events and the restaurants of the Riviera Nayarit. Restaurants that have participated in meetings and support to date include Aduato's, Black Forest, Café des Artistes del Mar, El Chivero, Falconi Pizza, Frascati, Grupo Marival (Ikuai & Nicksan), Mar y Sol, Oso's, Raixes (Puerto Bahia), Restaurant Miguel Angel, Sandrina's, Sandzibar, Tino's and Yaya's Café. Inside La Cruz sees the establishment of this association as a win/win for the people of the Riviera Nayarit as well as the restaurants. Providing the restaurants a "Chamber of Commerce" style of resource, better organization and improved promotions will ultimately provide a target regional destination which can only benefit ALL commerce in the area. As the Riviera Nayarit prospers, so prosper its inhabitants. Every restaurant in Riviera Nayarit is invited to join this association. At present, there is no membership fee and members are encouraged to use the group's Facebook page to promote their daily specials. A comprehensive website is under construction. Additionally, there is a "members-only" Facebook page that provides updates on group activities and minutes of the weekly meetings, which currently are held on Thursday mornings at different host restaurants. To join or obtain more information, email info@asociacionrrn.com. Thanks to Andrea Kuffner, Owner Black Forest and interim Secretary for the Asociación Restaurantera de Riviera Nayarit, for providing information for this article.